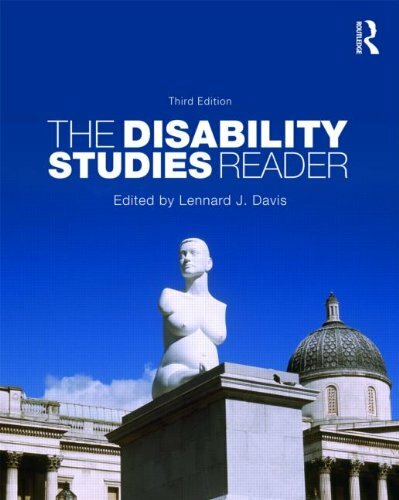 The Disability Studies Reader is the most comprehensive introduction to in disability studies. Now in its third edition, it contains a wide range of seminal, cutting-edge and classic articles in the field. The collection covers cultural studies, identity politics, literary criticism, sociology, philosophy, anthropology, the visual arts, gender and race studies, as well as memoir, poetry, fiction, and prose non-fiction. Excellent variety of articles on disability.Good compliment to classroom discussions.Very enlightening. I just got the book for a disability studies class. Book was in excellent conditions. However, this book is complicated and boring to read. 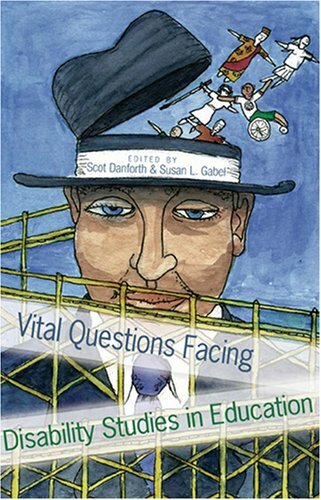 This is a purposeful and strong collection of essays, fiction, and poetry that serves to illuminate a comparatively new (although long in coming) and vibrant discipline, Disability Studies, which, according to editor (and contributor) Dr. Lennard Davis, "is both an academic field of inquiry and an area of political activity." Davis has written an elegant introduction that is ideological - with good reason. He provides an overview and defines the field and its terms. Davis cites many of the developers and 'early' thinkers (ancient times to the present) ofdisability studies and,in summary, asserts that Disability Studies is not about "sensitizing" "normal" persons. Disability Studies is, rather, "in favor of advocacy, investigation, inquiry, archeology, genealogy, dialectic, and deconstruction." The book (which does not have to be read in any particular order)is divided intoseven main sections: "Historical Perspectives," "Politics of Disability," "Stigma and Illness," "Gender and Disability," "Disability and Education," "Disability and Culture," and finally a small section of fiction and poetry. Davis' "Constructing Normalcy" appears first, appropriately so, for in my view it's really required reading. There is a generous selection of essays on Deafness and Deaf culture. (Davis himself grew up as the child of Deaf parents). 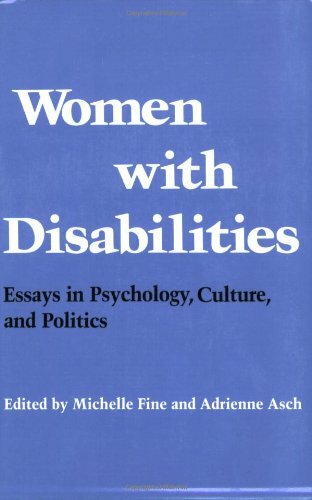 Some of my favorite essays: Harlan Hahn's "Advertising the Acceptably Employable Image," on the relationship between capitalism and disability; Susan Wendell's deeply personal and thoughtful "Toward a Feminist Theory of Disability," in which she points out, "When you listen to this culture in a disabled body, you hear how often health and physical vigor are talked about as if they were moral virtues. "Susan Sontag writes on AIDS and metaphor. "Blindness and Art" by Nicholas Mirzoeff is complex, difficult, and worth the effort. In addition there are a number of incredibly powerful historical discussions. This is a terrific textbook - for it contains a wealth of material that is challenging and engaging. Readers interested in this field and its ideas will be pleased.As a reference work it'lldoubtless be useful for many years. It's solid and complex,and definitely worth reading. Foucault and the Government of Disability is the first book-length investigation of the relevance and importance of the ideas of Michel Foucault to the field of disability studies-and vice versa. Over the last thirty years, politicized conceptions of disability have precipitated significant social change, including the landmark Americans with Disabilities Act in 1990, the redesign of urban landscapes, the appearance of closed-captioning on televisions, and the growing recognition that disabled people constitute a marginalized and disenfranchised constituency. The provocative essays in this volume respond to Foucault's call to question what is regarded as natural, inevitable, ethical, and liberating, while they challenge established understandings of Foucault's analyses and offer fresh approaches to his work. The book's roster of distinguished international contributors represents a broad range of disciplines and perspectives, making this a timely and necessary addition to the burgeoning field of disability studies. "A serious step forward not only for disability studies but for the range of theoretical positions associated with Foucault. 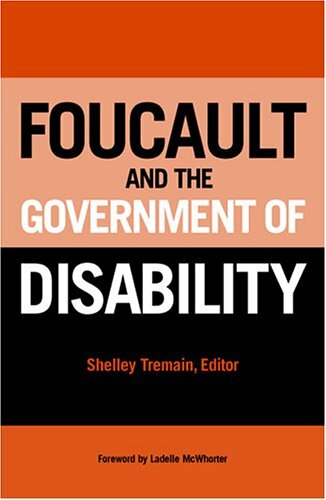 Foucault and the Government of Disability will provide for years to come a basis for rethinking Foucault's impact on social theory as well as a foundation for active political struggle against the oppression of people with disabilities." "Testimony to the enduring power of Foucault's work to stimulate new ways of thinking about and resisting the pernicious effects of normalization within modern societies... Critically engaging Foucault as well as received interpretations of his work, this collection is intended for readers of Foucault as well as critical disability theorists. It delivers on its promise to stimulate us to think differently about both disability and Foucault." Shelley Tremain teaches in the Philosophy Department of the University of Toronto at Mississauga. 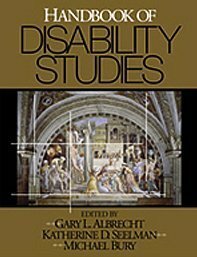 This path-breaking Handbook of Disability Studies signals the emergence of a vital new area of scholarship, social policy and activism.Drawing on the insights of disability scholars around the world and the creative advice of an international editorial board, the book engages the reader in the critical issues and debates framing disability studies and places them in an historical and cultural context. Five years in the making, this one volume summarizes the ongoing discourse ranging across continents and traditional academic disciplines. The Handbook answers the need expressed by the disability community for a thought provoking, interdisciplinary, international examination of the vibrant field of disability studies. 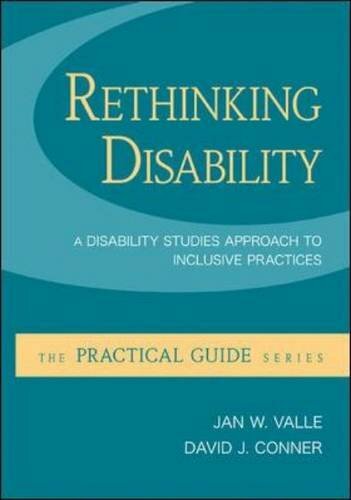 The book will be of interest to disabled people, scholars, policy makers and activists alike. The book aims to define the existing field, stimulate future debate, encourage respectful discourse between different interest groups and move the field a step forward. 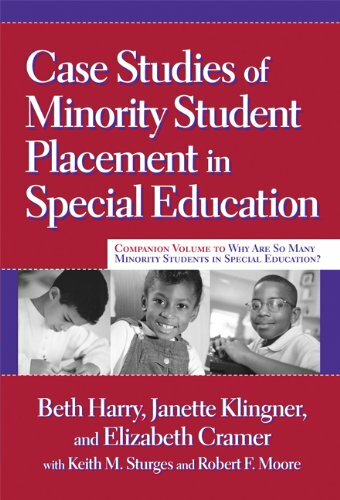 For students who have interest in disabilities studies it is a useful tool to deepen their knowledge. "Disability Theory is just the book we've been waiting for. Clear, cogent, compelling analyses of the tension between the 'social model' of disability and the material details of impairment; of identity politics and unstable identities; of capability rights and human interdependence; of disability and law, disability as masquerade, disability and sexuality, disability and democracy---they're all here, in beautifully crafted and intellectually startling essays. Disability Theory is a field-defining book: and if you're curious about what 'disability' has to do with 'theory,' it's just the book you've been waiting for, too." "Disability Theory is magisterially written, thoroughly researched, and polemically powerful. It will be controversial in a number of areas and will probably ruffle feathers both in disability studies as well as in realms of cultural theory. And that's all to the good." "Not only is Disability Theory a groundbreaking contribution to disability studies, it is also a bold, ambitious and much needed revision to a number of adjacent and overlapping fields including cultural studies, literary theory, queer theory, and critical race studies. Siebers has written a powerful manifesto that calls theory to account and forces readers to think beyond our comfort zones." Intelligent, provocative, and challenging, Disability Theory revolutionizes the terrain of theory by providing indisputable evidence of the value and utility that a disability studies perspective can bring to key critical and cultural questions. Tobin Siebers persuasively argues that disability studies transfigures basic assumptions about identity, ideology, language, politics, social oppression, and the body. At the same time, he advances the emerging field of disability studies by putting its core issues into contact with signal thinkers in cultural studies, literary theory, queer theory, gender studies, and critical race theory. Tobin Siebers is V. L. Parrington Collegiate Professor, Professor of English Language and Literature, and Professor of Art and Design at the University of Michigan. 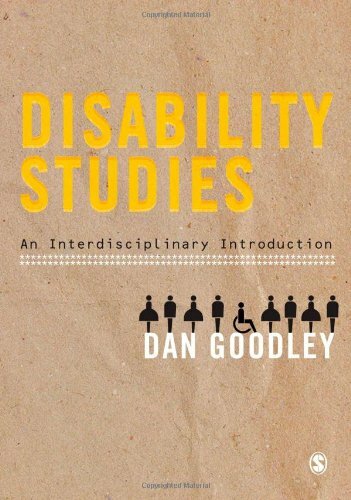 This introduction to disability studies represents a clear, engaging, and consistently thought-provoking study of the field. The book discusses the global nature of disability studies and disability politics, introduces key debates in the field and represents the intersections of disability studies with feminism, queer, and postcolonial theory. 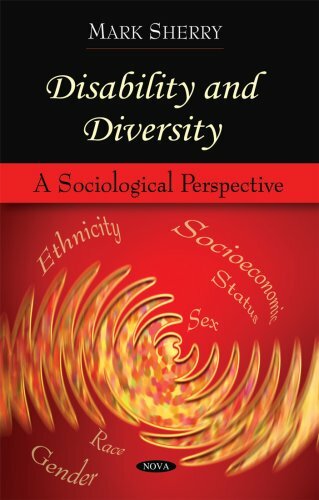 The book has a clear and coherent format which matches the interdisciplinary framework of disability studies - including chapters on sociology, critical psychology, discourse analysis, psychoanalysis and education. Each chapter engages with important areas of analysis such as the individual, society, community, and education to explore the realities of oppression experienced by disabled people and to develop the possibilities for addressing it. Disability studies has become a legitimate area of academic study. It is multi-disciplinary in its critique of the oppressions that have historically "dumped" disabled people on the margins of society. 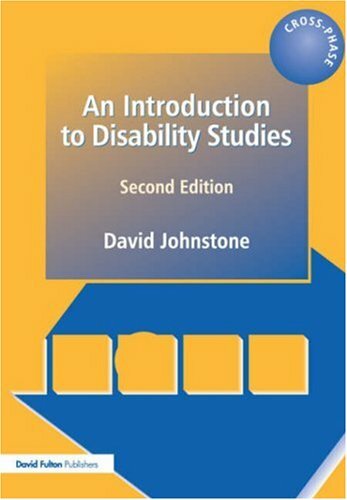 This fully revised and updated edition not only explains disability studies as an academic field of inquiry, it also explores many of the current issues affecting the lives and circumstances of disabled people. 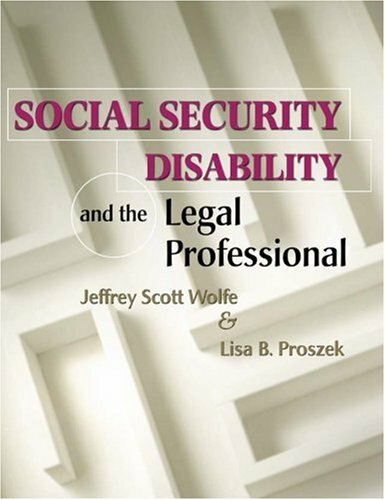 The book explores and analyzes "quality of life" factors in the lives of disabled people in relation to the professional development of undergraduates and examines the emergence of "rights" for disabled people in the local area, the UK and abroad.The author indicates the strengths and weaknesses of organizations "of" and "for" disabled people, and provides examples of individual and institutional oppressions against disabled people and "success stories," exploring how these have been overcome in education and employment. The book suggests how disabled and non-disabled people can collaborate in the development of inclusive communities and neighborhoods. "Disability Aesthetics ambitiously redefines both 'disability' and 'aesthetics,' showing us that disability is central not only to modern art but also to the way we apprehend (and interact with) bodies and buildings. Along the way, Tobin Siebers revisits the beautiful and the sublime, 'degenerate' art and 'disqualified' bodies, culture wars and condemned neighborhoods, the art of Marc Quinn and the fiction of Junot Díaz---and much, much more. Disability Aesthetics is a stunning achievement, a must-read for anyone interested in how to understand the world we half create and half perceive." 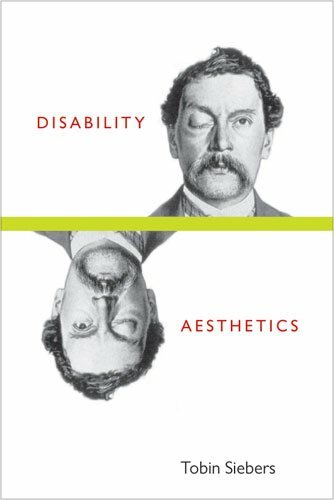 "Rich with examples of the disabled body in both historical and modern art, Tobin Siebers's new book explores how disability problematizes commonly accepted ideas about aesthetics and beauty. For Siebers, disability is not a pejorative condition as much as it is a form of embodied difference. He is as comfortable discussing the Venus de Milo as he is discussing Andy Warhol. Disability Aesthetics is a prescient and much-needed contribution to visual & critical studies." Disability Aesthetics is the first attempt to theorize the representation of disability in modern art and visual culture. It claims that the modern in art is perceived as disability, and that disability is evolving into an aesthetic value in itself. It argues that the essential arguments at the heart of the American culture wars in the late twentieth century involved the rejection of disability both by targeting certain artworks as "sick" and by characterizing these artworks as representative of a sick culture. The book also tracks the seminal role of National Socialism in perceiving the powerful connection between modern art and disability. 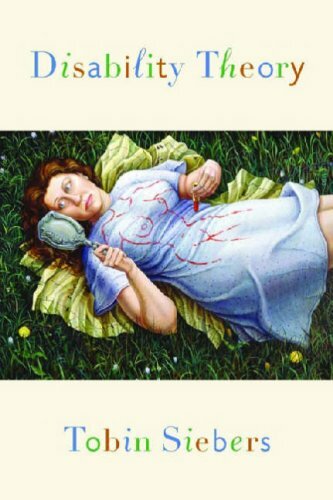 It probes a variety of central aesthetic questions, producing a new understanding of art vandalism, an argument about the centrality of wounded bodies to global communication, and a systematic reading of the use put to aesthetics to justify the oppression of disabled people. 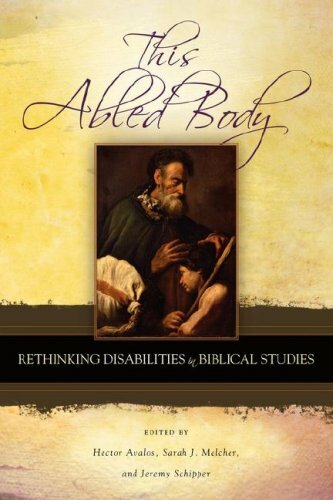 In this richly illustrated and accessibly written book, Tobin Siebers masterfully demonstrates the crucial roles that the disabled mind and disabled body have played in the evolution of modern aesthetics, unveiling disability as a unique resource discovered by modern art and then embraced by it as a defining concept. Tobin Siebers is V. L. Parrington Collegiate Professor of English Language and Literature and Art and Design at the University of Michigan. His many books include Disability Theory and The Subject and Other Subjects: On Ethical, Aesthetic, and Political Identity. A great tool for teaching! I bought this book based on the reviews written by previous buyers, especially the one that the buyer said they would not have survived their learning strategies class without this book--and I 100% AGREE!The way this book is arranged makes it very easy to make lesson plans and to make copies and overheads.The students understand the material and enjoy the exercises! This book is worth every penny! A good activity book for Study Skills Development. I used this book as an activity book for my study skills development classes this past year and was very pleased with it. This works well for middle school and high school students who are having trouble developing study skills on their own. These are good study strategies, whether a student has special learning needs or not.And with the ability to photocopy, this is a valuable resource that more than pays for itsself! 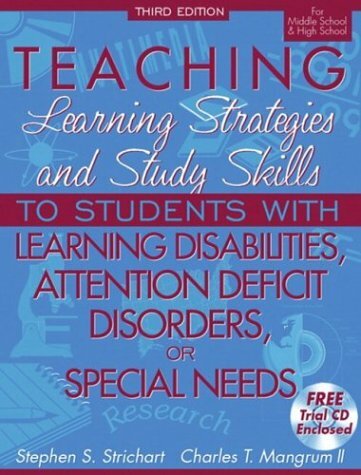 As a special education teacher I purchased this book because the title addressed the needs of the students I teach in a study skills class.However, the format of the book doesn't offer much in the way of copying many chapters or sections to teach to the students.Some chapters are user friendly, others are of no use the way they are formatted.Great title and table of contents but it is not very user friendly for teaching. This collection presents 14 essays by renowned scholars on Deaf people, Deafhood, Deaf histories, and Deaf identity, but from different points of view on the Deaf/Disability compass. Editors Susan Burch and Alison Kafer have divided these works around three themes. The first, Identities and Locations, explores Deaf identity in different contexts. Topics range from a history of activism shaped by the ableism of Deaf elites in the United States from 1880–1920, to a discussion of the roles that economics, location, race, and culture play in the experiences of a Deaf woman from northern Nigeria now living in Washington, D.C.
Alliances and Activism showcases activism organized across differences. Studies include a feminist analysis of how deaf and hearing women working together share responsibility, and an examination of how intra-cultural variations in New York City and Quebec affect deaf-focus HIV/AIDS programs. The third theme, Boundaries and Overlaps, explicitly addresses the relationships between Deaf Studies and Disability Studies. Interviews with scholars from both disciplines help define these relationships. Another contributor calls for hearing/not-deaf people with disabilities to support their Deaf peers in gaining langue access to the United Nations. 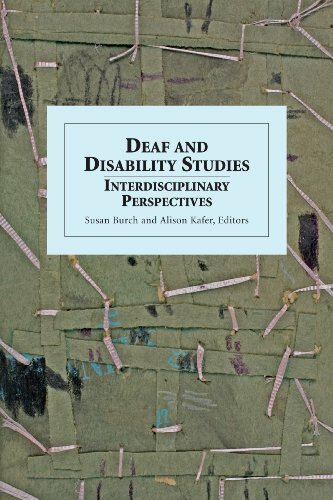 Deaf and Disability Studies: Interdisciplinary Perspectives reveals that different questions often lead to contrary conclusions among their authors, who still recognize that they all have a stake in this partnership. Over recent years there has been an unprecedented upsurge of interest in the general area of disability and disability studies amongst academics and researchers throughout the world. This has generated an increasingly expansive literature, from a variety of perspectives, including cultural studies, development studies, geography, history, philosophy, social policy, social psychology and sociology. Perhaps inevitably, given this heightened interest, a number of important challenges and debates have emerged which raise many significant questions for all those interested in this newly emergent and increasingly important field. 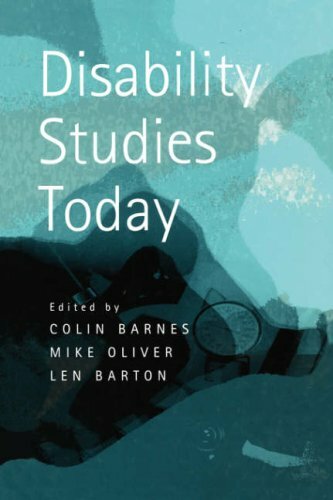 Disability Studies Today provides an invaluable introduction to and an overview of these concerns and controversies. Although the field is increasingly interdisciplinary in nature, the emphasis is primarily a sociological one since sociology continues to play a central role in the development of disability studies. Whilst the focus is primarily on theoretical innovation and advancement, the arguments presented in this book have important political and policy implications for both disabled and non-disabled people. 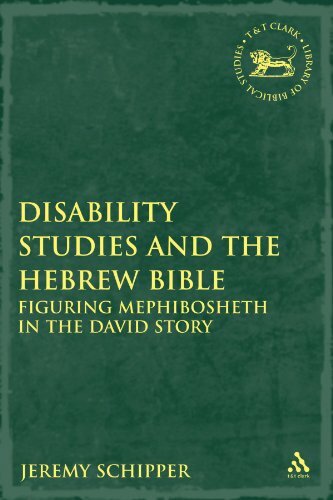 Moreover, since disability studies, like ethnic, women&apos;s and gay and lesbian studies, has developed from a position of engagement and activism rather than one of detachment, the articles in this volume maintain this tradition. The book contains contributions from established figures, as well as newcomers to the field. Topics covered include: the history of the development of disability studies in Britain and America, key ideas, issues and thinkers, the role of the body, divisions and hierarchies, history, power and identity, work, politics and the disabled peoples&apos; movement, globalization, human rights, research and the role of the academy. Women with disabilities are women first, sharing the dreams and disappointments common to women in a male-dominated society. But because society persists in viewing disability as an emblem of passivity and incompetence, disabled women occupy a devalued status in the social hierarchy. This book represents the intersection of the feminist and disability rights perspectives; it analyzes the forces that push disabled women towards the margins of social life, and it considers the resources that enable these women to resist the stereotype. Mr. Schipper has put forth a worthy contribution to the field.The combination of literary analysis and solid text criticism makes this a must read for anyone interested in Davidic studies, or simply wants to become a better reader of the Bible.This book is written with a compelling style and straight-forward approach to reading the Bible. His inclusion of disability studies is a refreshing new approach to a topic that has seen many of the same historical studies over the years. I needed this book for a class I am taking and I received it in perfect timing. The book has a little bit of writing in it, but not enough that it bothers me.Thanks for the quick turn around. This book is well designed.I used it to train people in representing individuals before the Security Administration who work for me.It provides a detailed analysis of the process and is wonderfully informative.However, a person who does Social Security Representation professionally will still be needed to add things that the book does not go into enough detail explaining or explain things that are exceptions to what the book says.However, if you want to know the disability process with social security then this book will explain it. This book is an excellent resource. In multiple locations, activists and scholars are mapping the intersections of queer theory and disability studies, moving issues of embodiment and desire to the center of cultural and political analyses. The two fields are premised on the idea that the categories of heterosexual/homosexual and able-bodied/disabled are historically and socially constructed. 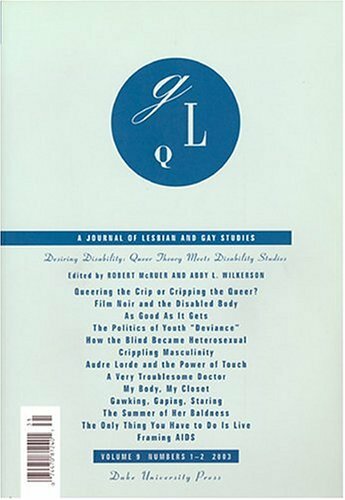 Desiring Disability: Queer Theory Meets Disability Studies explores how the frameworks for queer theory and disability studies suggest new possibilities for one another, for other identity-based frameworks of activism and scholarship, and for cultural studies in general. Topics include the study of "crip theory" and queer/disabled performance artists; the historical emergence of normalcy and parallel notions of military fitness that require both the production and the containment of queerness and disability; and butch identity, transgressive sexual practices, and rheumatoid arthritis.